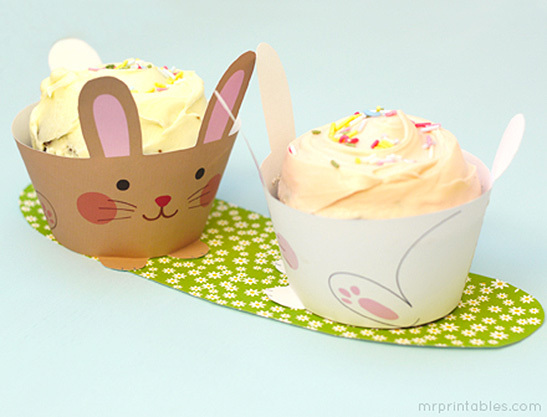 Cute printable cupcake wrappers for bunny themed parties, as surprise treats for all the kids who love bunnies, Easter holidays and spring celebrations. Hop hop hop! 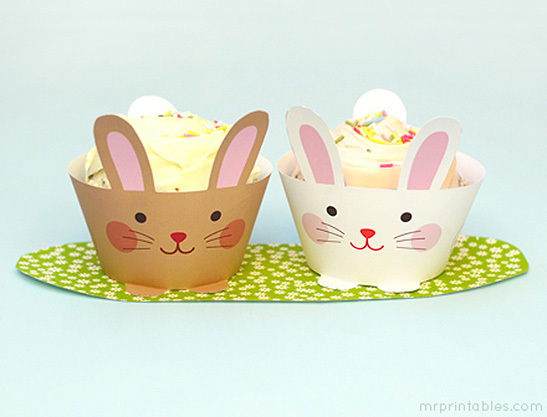 Simply print and cut the templates, wrap around your cupcakes. That’s it! If you like bunnies, you’ll love our bunny party favor bags or how about a bunny mask for your animal party fun? If you’re looking for more Easter projects, go to our Easter printables page.